If it were possible to have a conversation with a fairy godmother, I now know exactly what that would be like. 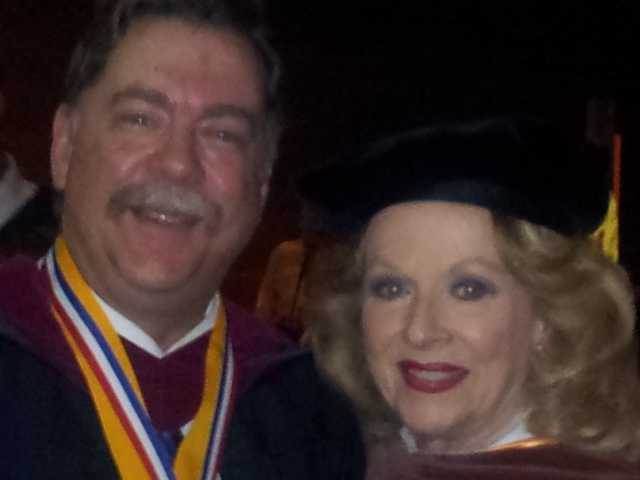 One of last week’s highlights was getting to hear Mary Costa as the commencement speaker for Pellissippi State’s graduation Friday night. You may not recognize her by sight, but you have certainly heard her voice. Her distinguished career includes 44 operatic roles from the Metropolitan Opera to London’s Royal Opera House to the Bolshoi in Moscow; television appearances with Bing Crosby, Sammy Davis Jr., Frank Sinatra, and dozens of other “big names” from the 1950s through the 1970s; and both the memorial service for President John F. Kennedy and the inaugural performance for the John F. Kennedy Center for the Performing Arts. But most of us know her as the voice of Princess Aurora in Walt Disney’s 1959 animated classic “Sleeping Beauty.” Disney himself offered her the role within hours of her audition. Born in Knoxville, she returned here in the 90s as her base for continuing her work inspiring teenagers and college students. She gave a great speech, and I may say more about that in another post. For now, let’s just say that just as she mastered movies and television, just as she mastered live operatic performance, she has also mastered speaking. But that’s not what tells me what it’s like to speak to a fairy godmother. After graduation, I was visiting with colleagues and students at the reception that followed. I happened to notice Mary Costa behind a table, with people lined up to talk with her. Every individual in line received her full attention without a rush. Several families of three generations had their photos taken with her, and she spent time with each individual. I stammered a brief explanation and expressed my genuine gratitude for the Innovations award from the college Foundation. She listened as if I were telling her the most interesting story she had ever heard, and all the hustle and bustle around us just faded away. “I think you really reached them,” I said. “I’m so pleased,” she said, and she looked as if she meant it. I fully believe she did. I believe this amazing woman who has visited with heads of state all over the world and shared the stage with entertainment giants cared about my opinion. Although I worked in Arkansas media when Bill Clinton was governor, I never covered him in a press conference. But I heard from people who did that he had (and has) the ability to make you feel as if you are the most important person in the room. I never saw that in person from him, but I certainly know what it feels. 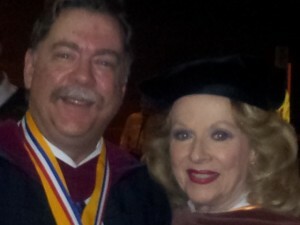 Mary Costa blessed me with that kind of attention, and I saw her do it over and over again with college students and their parents, grandparents, younger siblings, and children, administrators, faculty, workers–everyone with whom she talked. When you can connect with people like that, you will have no trouble getting people to hear what you have to say. Who do you know who has this kind of effect on people? How do they do it?